As a product marketer, I am always looking for the new and interesting ways brands are interacting with their consumers and the general public. And while the talk last night may have been about all the Superbowl commercials, at least one company is making use of QR codes as a simple way to create a relevant, customized user experience without the big spend. 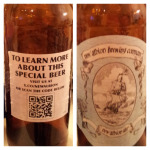 On the back of their limited edition, New Albion Ale, brewer, Sam Adams included a QR code link to additional content online. The code links to a brief, well-produced video discussing the history and background of their product (which is actually really cool!) This is great use of a QR code as a living hyperlink in real life to online content that enriches the end-use experience. It could have been more mobile optimized. If it had been a direct YouTube link, it would have automatically prompted me to open the video with the appropriate app, making it a one click experience, instead of two, but I understand why they chose to use a custom landing page. 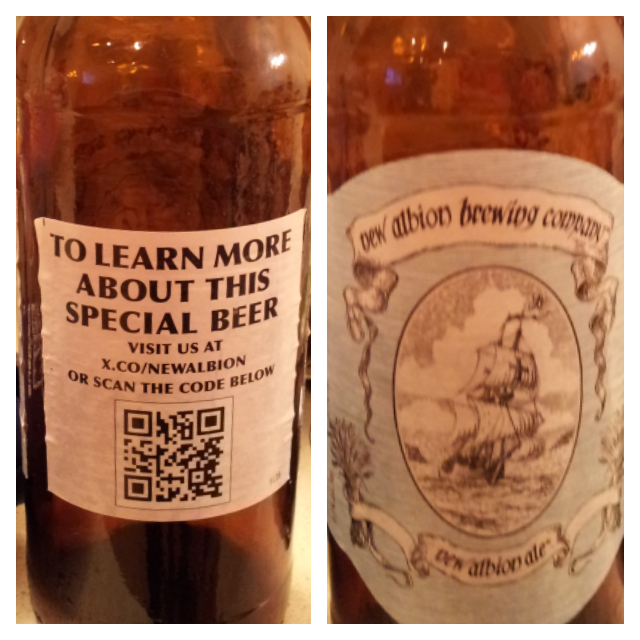 Overall, this a great example of QR code placement and content quality . Lots of lessons to learn here for small biz and charity alike! Do you have an example of a great implementation of a 2D bar code? Please share! This entry was posted in Product Marketing and tagged engagement, marketing, mobile, tech on February 4, 2013 by stacydyer.